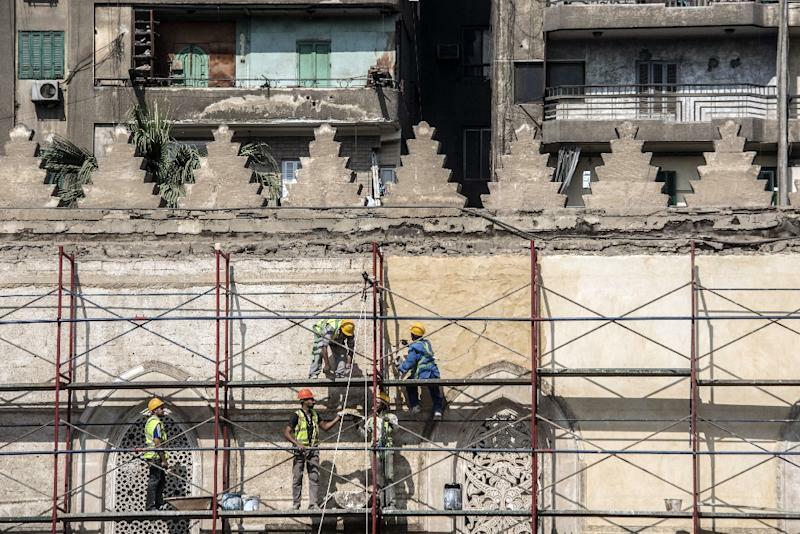 Cairo (AFP) - Workers perched on scaffolding delicately repair Cairo's 13th-century al-Zahir Baybars mosque, a vital restoration project in the Egyptian capital's neglected Islamic quarter. The capital's Islamic quarter, a UNESCO World Heritage Site since 1979 often referred to as historic Cairo, boasts some 600 listed monuments. 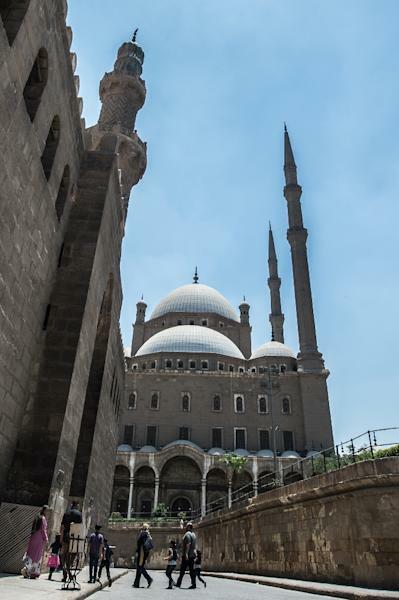 Islamic Cairo is packed with ornate monuments, mosques and mausoleums, and its narrow streets are punctuated with trinket shops, cafes and traditional old homes -- an urban fabric layered in centuries of history. "It's like painting an aircraft carrier: when you finish one side, you have to start over again on the other," he said. In the immediate aftermath of Mubarak's 2011 fall, many of the area's squat traditional buildings were torn down and replaced with structures of six to eight floors. 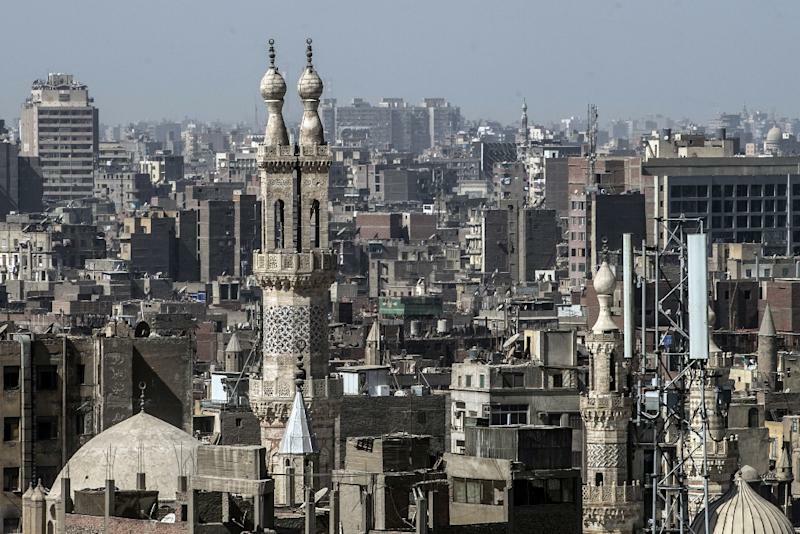 And even if looting and illegal construction have since decreased, according to authorities, the historic heart of Egypt's teeming capital of 20 million is still choked with pollution, its streets cluttered with rubbish. In 2017, its World Heritage Committee urged Egyptian authorities "to take all needed measures to halt the rapid deterioration" of sites across the quarter. "It's always said that Islamic antiquities are in bad condition. It's a fact," he said, adding that failing sewers and monuments in residential areas had also created issues. The antiquities ministry is fed by revenues generated at Egypt's wealth of historic monuments. And while tourism has picked up since it dropped in 2011, the 8.2 million people that visited Egypt in 2017 are still far behind the country's 14.7 million visitors in the year before the uprising. "It cannot wait... if we want to stay on the World Heritage List there is not a minute to lose," he said. The only way to effectively combat the decay, he said, was "to get citizens involved". From his 16th-century home, known as Bayt Yakan, Habashi runs an art collective and organises conferences around the "revitalisation of the historic city". "This will generate economic activity, tourism... but the project also has a social dimension," said Ibrahim Laafia, head of cooperation with the EU's delegation to Egypt. In 2015, Cairo authorities created the governorate's first department for the preservation of antiquities. Its director, Riham Arram, said that while the city is making slow progress, preserving its history is still "a big challenge". "We have not managed to do everything. It's true that there is still illegal construction... but we will continue," she said, explaining reforms could increase fines for unlawful building. "Now security has stabilised, the country is stable," she said.